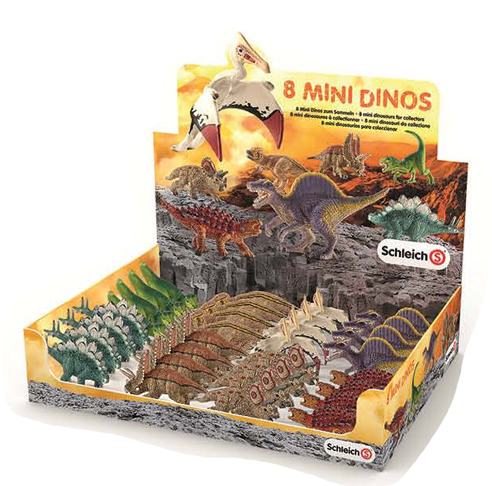 The Schleich mini dinosaur model range is now in stock at Everything Dinosaur. New for 2015, Schleich have introduced a range which consists of eight highly collectible prehistoric animal figures. The models range in size from 5.5cm to around 7.5cm in length and the set features seven dinosaurs and one member of the Pterosauria (flying reptile). Each one of these miniature replicas has been hand-painted and we love the different colour schemes that have been chosen. These are certainly busy times for the design team at the German manufacturer. 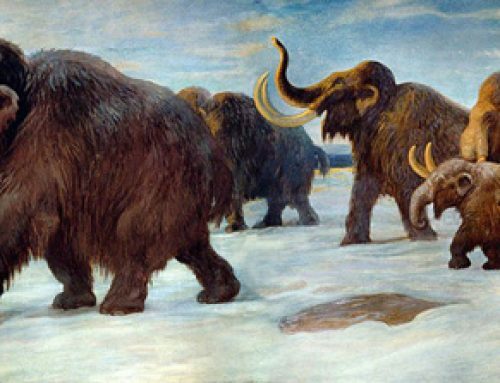 The models are: Velociraptor, Stegosaurus, Saichania (an armoured dinosaur from Mongolia), Tyrannosaurus rex, Triceratops, Pentaceratops (both members of the Ceratopsidae), Spinosaurus and a Pterosaur – Quetzalcoatlus. The Pterosaur figure in the model series. These new, inexpensive replicas are highly collectible as well as being ideal for creative, imaginative play.